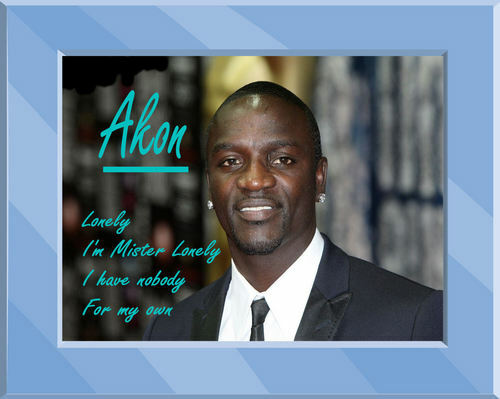 Akon. . HD Wallpaper and background images in the Akon club tagged: akon. This Akon fan art might contain suti biashara and biashara suti. Nöt Lönely But I Like The Frame its So Beautiful Sylvie.! He's looking happy but I love this song. And these lyrics on this great picture of him will give him lot of girls !